A roofing replacement is a major investment, and for better or for worse, the results will last for years–possibly decades–to come. Homeowners should always be thorough and vigilant from the very beginning of the re-roofing process, and that process starts by collecting and comparing estimates from local roofing contractors and carefully interviewing selected roofers before making a decision. There are many roofing contractors out there, so choosing the best roofer for your next project might be overwhelming at first. That’s why we’ve compiled a roofing contractor question checklist you should start with! 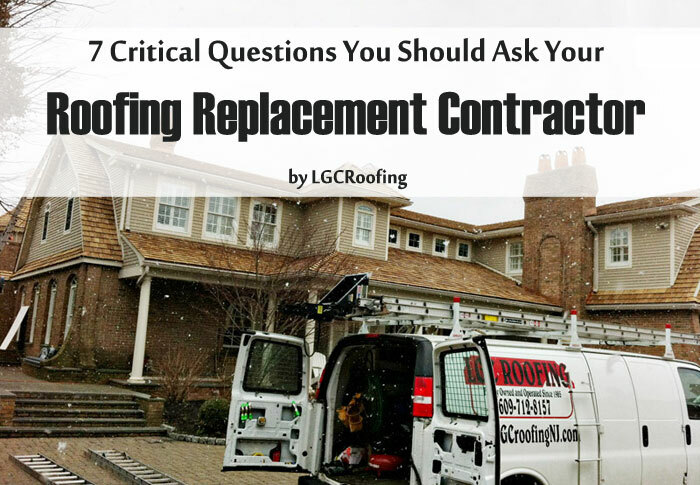 Here’s a list of seven key questions you should ask when searching for your next roofing replacement contractor, along with an idea of the answer you’re looking for. Question: Do you have a valid contractors’ license? Answer: Yes, and it’s up to date. Why it’s important: In most jurisdictions, roofing contractors require valid licenses to legally practice their trade. Check your local laws, then make sure any roofing company you’re considering follows them. Otherwise, you’ll have limited recourse if something goes wrong, and you could end up in hot water with your insurance company if someone is injured on the job. Question: Do you carry your own insurance? Answer: Yes, including liability and workers’ compensation insurance. Why it’s important: If your roofing contractor doesn’t carry both types of insurance, you could be on the hook if your home is damaged during the project, or if one of the contractor’s workers is injured on your property. If you’re in doubt, ask to see a copy of their insurance certificates and verify their authenticity independently. Question: Do you employ subcontractors? Answer: If the answer is yes, ask the contractor to supply subcontractor contact information, and ask the subcontractor all the same questions. Why it’s important: Subcontractors are not fully regulated employees in the same sense that they would be if they were an actual part of the contractor’s company. Thus, the contractor is not responsible for ensuring that they are licensed and insured, so you need to verify this yourself for the aforementioned reasons. Question: Can you provide references from homeowners whose roofs you have replaced? Why it’s important: All reputable contractors, unless they’re newly created companies, will have satisfied customers who would be happy to vouch for the roofer’s work. If the roofer is reluctant to provide references or gives you the runaround, consider it a significant red flag. Question: What kind of warranty do you offer? Answer: The contractor warranty covers my work for at least one year, and the materials are covered by the manufacturer’s warranty. Why it’s important: The work and the materials are covered under separate warranties. Roofing contractors who are confident in their skills will offer better, more inclusive warranties. A minimum warranty of one year is standard for the roofer’s labor. Longer is better. Question: What measures do you use to take care of my property while you work? Answer: Tarps are used to cover the roof during rainy weather, storage bins are used to collect waste, and we remove all waste from your property when the job is complete. Our crews won’t unnecessarily tread across your lawn, and we won’t discard materials where they might cause damage. Why it’s important: Where’s the value in getting a new roof if the behavior of the contractors necessitates other repairs? Your contractor should take the necessary steps to protect your property throughout the replacement process, and perform a thorough cleanup upon its completion. Question: Can you provide me with a written estimate? Why it’s important: If you don’t get a detailed quote in writing, you open yourself up to a whole host of potential problems down the road. The contractor could charge you far more than he or she initially stated by adding all sorts of extras you didn’t anticipate, and you’ll be bound to pay since the work will already be done. Get your estimate in writing, so you can understand the cost and process breakdown fully, before committing to any roofing contractor. If you’re considering re-roofing your home this spring, be smart and take the time to research roofing companies thoroughly – this is the most important thing YOU can do to ensure the quality and integrity of your new roof! And remember: cost isn’t the sole consideration. You should also consult online customer reviews, and take the value you’re getting into account. It’s better to pay a little more for a job well done than it is to cut corners and end up dissatisfied. 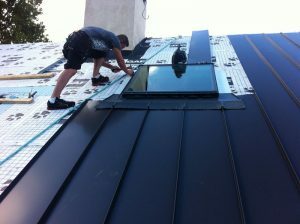 We offer 30 year workmanship guarantee on full roof replacements! If you’re looking for a reputable, honest and skilled roofing contractor, consider LGC Roofing, a family owned and operated NJ & PA roofer with over 30 years in the roofing industry! Serving residential and commercial customers throughout New Jersey and Bucks & Montgomery counties of Pennsylvania, our team of highly skilled and experienced roofers can quickly and reliably replace your roof as we have for our many happy customers over the last three decades! Call 609-712-8157 in NJ or (215) 932-7850 in PA to schedule your free, no-obligation estimate. Our roof is in need of some replacements, but we need help in knowing the best way to find the roofing contractor to help us. I like how you mentioned that one thing we need to remember to ask them is whether or not they carry their own insurance. This would be good to know so that we will be able to know for sure if they will covered if their is damage to the house. Also, ask for certifications and experience in installing the specific roofing material you want. You wouldn’t want a roofer who specializes in shingles to install your standing seam metal roof, for example.